Quickfire second-half goals from Junior English and Colby Bishop turned the tie around after the visitors had led at the break through Aaron Pressley’s tenth-minute header and now only Nuneaton stand between Brakes and a repeat of their 2016/17 triumph. The visitors got early joy down the right and Dominic Revan had already sent in a tame header before Pressley opened the scoring, guiding his header past Tony Breeden after being picked out by Jake Walker. A Reece Flanagan free-kick evaded everyone in the box as Brakes looked to respond and the midfielder’s set-piece delivery was to prove the home side’s major source of threat all evening. Connor Taylor stung Matija Sarkin’s hands with an effort from distance, while the keeper was relieved to see a deflected shot from the same player graze the crossbar. Cameron Archer wasted a three-on-one for the visitors, while a Brakes counter was worked to Flanagan, who flashed a shot just past the post with Sarkin beaten. The Villa keeper was then relieved to see the ball rebound into his arms in the final moments of the half after a defensive clearance had struck Jack Lane. Bishop was inches away from levelling three minutes into the second half, with his snapshot from a Jack Edwards flick-on hitting the inside of the post and travelling agonisingly across the face of the goal. Lewis Brunt showed his pace with a run from the half-way line which took him past three Leamington tacklers but after slaloming the final challenge he was unable to work the ball to Walker inside the home box and the chance was lost. Brakes had the initiative, however, and they equalised in the 55th minute, though there was an element of fortune about the goal. Flanagan’s delivery once again caused problems for the Villa defence and although Jamie Hood badly miscued his shot, English was there on the stretch at the far post to divert the ball in. Sarkic claimed a well-struck Edwards effort at the second attempt and the unmarked Hood was let down by his first touch after being picked out by Flanagan at the far post as the home side remained on the front foot. And, four minutes after levelling, the transformation was complete as Bishop added the home side’s second, ghosting in at the near post to power home Flanagan’s left-wing corner. Brunt fired narrowly over as Villa sought an early response, while substitute Connor Gudger could only put his header the wrong side of the post when well placed at the other end. Patient build-up from the home side then almost presented Bishop with a chance to make it 3-1 but the striker was crowded out as he tried to latch on to Edwards’ knock-down. 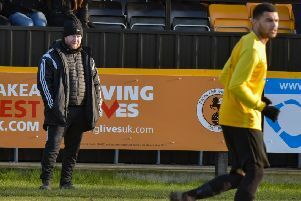 James Mace was relieved to see his hurried clearance clear his own bar after Colin Odutayo had beaten the offside trap but it was to prove a rare moment of danger for the hosts as a spate of substitutions from both sides took the sting out of the game. 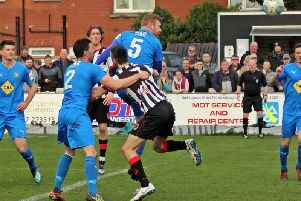 Brunt had an opportunity to test Breeden in the 82nd minute when the visitors were awarded a free-kick in a promising position just outside the area. However, he ballooned his effort well over the bar and although Villa huffed and puffed in the closing stages, the home side were able to see out the closing stages in relative comfort. Brakes: Tony Breeden, Junior English, Jack Lane, Joe Clarke, Jamie Hood, James Mace, Connor Taylor (Connor Gudger, 63), Reece Flanagan, Colby Bishop, Jack Edwards (Connor Carson, 90), Ahmed Obeng (Callum Gittings, 80). Subs not used: Tom James, Ben Newey. Aston Villa: Matija Sarkic, Bradley Burton, Mungo Bridge (Colin Odutayo, 65), Isaiah Bazeley-Graham, Dominic Revan, Lewis Brunt, Jake Walker, Jack Clarke (Jack Birch, 84), Kelsey Mooney, Aaron Pressley, Cameron Archer (Charlie Farr, 76). Subs not used: Michael Tait, Sam Meek.